Dundee City Council has launched its ambitious PB programme, Dundee Decides, with citizens in each of Dundee's eight electoral wards getting to decide how best to spend £1.2 million of the Council's infrastructure budget. 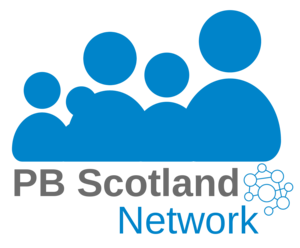 A quick glance through PB Scotland's news and event reports shows that much PB in Scotland up till now has followed the 'small grants' model, where local communities vote to decide which of their preferred community projects should be funded. This way of doing PB can be a great way of stimulating community activity and promoting voluntary and communtiy projects, amongst other benefits. However, there is now a growing interest in how PB can be mainstreamed - in other words, how citizens can have a direct say over how core public budgets are spent, including health, roads, housing, infrastructure and other services. The Scottish Government and COSLA have committed to 1% of local government budgets being spent through PB by the end of 2021. Now, in Dundee, residents aged 11 or over are able to vote online to decide how the Council spends its £1.2 million infrastructure budget. A new website has been set up where people can vote and get information on the process. The website even features a colourful Dundee Decides comic strip which introduces people to the process in a more engaging way. Voting is open from 29th January to the 23rd March. Read more on the Dundee Decides website, or in this Dundee Courier article.